If you enjoy the question/answer type sites for extra money, you may want to check out Rewarder. This is a site that reminds me a lot of how Prizes.com used to be — people post things they need and then set a reward amount. If you help them to their satisfaction, you get the reward. Rewarder is set up the same, but it looks like you are pretty much just answering questions for people rather than doing any other kinds of projects (graphic design, writing, etc.) like you would do on Prizes.com. Note – Prizes is now shut down. There are also a few other ways you can earn money with Rewarder apart from just answering questions. More details on that below. First, create an account. You can do this through Facebook or manually with just your email address. Then, browse the rewards. There are many from what I can see! Just pick one you think you could answer well and then click the “Win This Reward” button. You’ll then be taken to a page where you can write your answer and submit it. The person who created the reward will review all the answers they receive and pick one as the “best.” If that’s you, you get the reward money posted. The person who posts the reward will also have the opportunity to request more info from you if they need it before declaring a winner. 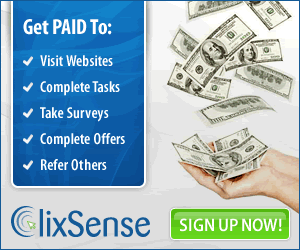 You can also earn money on Rewarder by participating in usability tests, surveys, and iPhone app tests. From what I can see though the focus is mainly on asking/answering questions here. Rewarder will send your earnings over to your account immediately after any answer you submit is selected as best. You can then cash out at any time as long as you have earned at least $5. The current cash out options include Paypal and Amazon. Note that Rewarder will deduct a 20 percent service fee from your earnings. So for example if you win a $5 reward, you’ll just get $4. While having fees deducted is no fun, most sites I’ve seen that are similar to this do the same thing. It’s not uncommon at all — they have to have a way to profit as well. Rewarder also has a referral program in place. If anyone you know signs up for Rewarder and uses your referral link to do so, you’ll get a 10% commission from their earnings. Note that this is not money taken away from them — just a bonus that Rewarder gives to you as thanks for referring them. Your friends will still get all of the money that they earn. How can you be sure you’ll get paid? This is always a question I have with these kinds of sites — it’s worrisome to think that you might spend time typing out a thoughtful response for nothing. Unfortunately with this site because of the way it’s set up, there is no guarantee. It’s very possible that someone else may submit a response the reward creator prefers. So you’re taking a chance spending any time providing help here. You may also be wondering if there is any protection in place to prevent the reward creator from abusing the system — for example, reading through the responses and getting all the help they need and then just not selecting any answer as best. I read through the Rewarder FAQ and saw that the reward creator cannot browse any submitted answers until they pay Rewarder. However, it appears they are free to post the question before paying. So I guess there is a chance there might be some people who just post questions randomly — maybe not fully understanding how Rewarder works — with no intention of ever paying for responses. Maybe because they are just playing around or because they don’t get how it works. My hope is that the majority of the time this is not the case, but we’ll see. From reading through the FAQ, it does appear that Rewarder takes abuse VERY seriously and regularly bans the accounts of non-responsive reward creators. One good thing about all this is that every reward creator has a profile and you can click on it to see if they’ve ever rewarded people before and how many rewards they’ve given out, etc. So this way you could kind of pick and choose who you answer questions for. I really like the interface here. It’s a nice, clean design and it’s very easy to navigate around and find exactly what you need. I went ahead and signed up myself and submitted a response to one of the reward questions. We’ll see what happens with it. Update: I cashed out for an Amazon gift code on 10/29/13 and received it via email the very next day — 10/30/13! That was fast pay! This site and others like it are generally only good for extra money, but it looks like they pay within just a few days after you cash out, so it might be a good “egg” to have in your basket if you are good at providing detailed, thoughtful responses and have knowledge to share. The only real downside is that the money isn’t guaranteed. Definitely keep that in mind before you spend too much time answering questions. You can go here to get started. Good luck and please come back and let me know how it went for you after you’ve tried it. You can also see more question/answer websites that pay you in my directory. Note: This post contains my referral link for Rewarder. If you would prefer not to sign up as my referral, you can visit the site directly to sign up with no referral. Discover how THOUSAND of people like YOU are making a LIVING by staying home and are living their dreams right NOW. Did you know you can get them AUTOMATICALLY & TOTALLY FREE by getting an account on Like 4 Like?